If you swap between a Western and a non-Latin keyboard layout on your Mac, like Hebrew, Chinese, Kannada, or others, you’d usually need to do so by clicking an option in the menubar. MacWorld points out you can set the Caps Lock key to easily swap between keyboards. 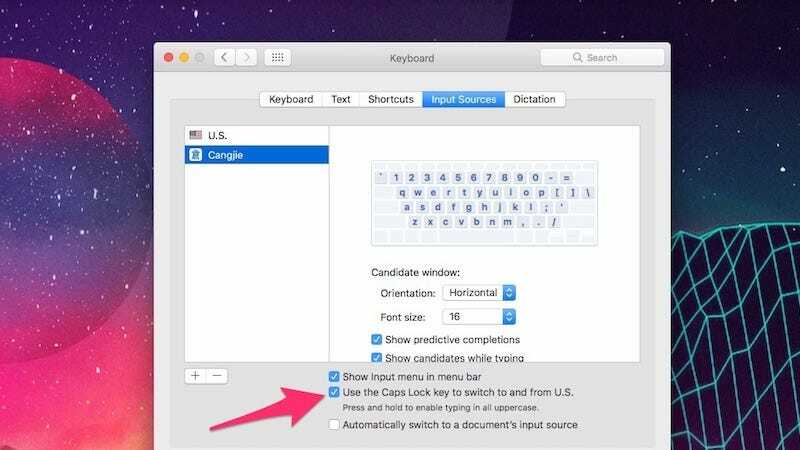 When you have a non-Latin keyboard added to your sources (System Preferences > Keyboard), you’ll see the option to “Use the Caps Lock key to switch to and from U.S.” Make sure the box is checked and you can easily swap between keyboards by simply tapping the Caps Lock key. Unfortunately, this only works for swapping between non-Latin and Western characters, but it’s still useful if you type in multiple languages.